Northumberland’s village halls joined together last year to celebrate the first ever national #VillageHallsWeek, in January 2018, to celebrate the vital role they play in sustaining rural communities. We built on that success with a fantastic week from Tuesday 22nd – Monday 28th January 2019. The week-long celebration, organised by ACRE Network, England’s largest network of rural community support organisations, was to say a collective “thank you” to all volunteers who work tirelessly to keep community buildings and village halls open for the benefit of local residents. A wide range of events were held across Northumberland to celebrate the week, ranging from coffee mornings, an energy saving roadshow and a job fair helping local people get back into work. 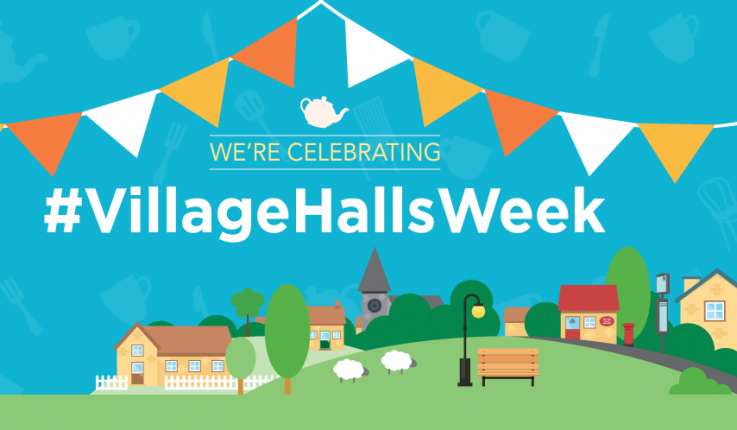 CAN held our own #VillageHallsWeek event on 23rd January 2019 in Stannington Village Hall (next to the Ridley Arms) to acknowledge all the hardworking, dedicated trustees who manage halls and community buildings across Northumberland. The poet and broadcaster Ian McMillian came up with a live Northumberland poem to celebrate our halls with lots of audience involvement! As part of the event, we showcased the heritage of village halls and the huge contribution they make to rural communities. We also announced a major funding boost to village halls as the National Lottery Community Fund, previously known as the Big Lottery Fund, awarded over £420,000 to the Northumberland Village Halls project, led by CAN. This is one of the first projects to be awarded money raised by National Lottery players, under the new name of the largest funder of community activity in the UK. Village Halls and other Community Buildings play a key role in reducing isolation in rural communities by providing a meeting place for local residents. However, it’s not all coffee mornings and knitting classes/proggy mat making as some might expect. Some of the more unusual activities offered include Zumba classes, Tai-Chi, stargazing nights and baby massage classes. There are 10,000 village halls and other community buildings in England’s rural communities, of which 240 can be found right across Northumberland. 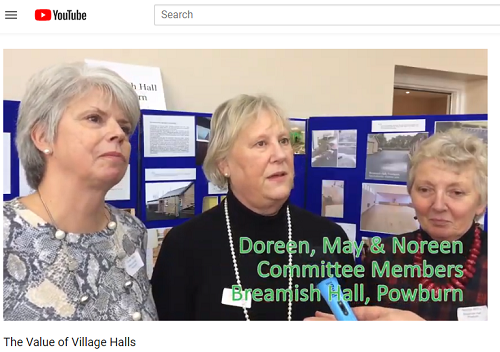 At the Northumberland Village Halls celebration event which took place at the end of January 2019, CAN took the opportunity to ask a few people why their village hall is so important to their community. A short film has been created as a result - view the film. 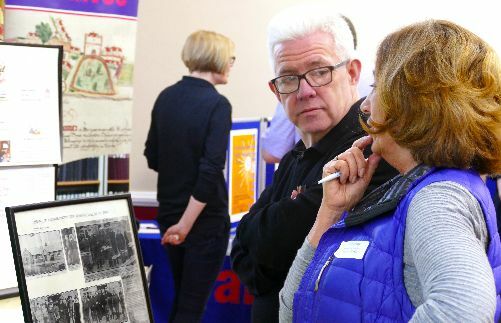 Village halls, church halls and other community buildings remain a vital resource at the heart of many rural communities, acting as a hub for multiple local services and hosting community enterprises. Some of the diverse examples in Northumberland include Seahouses Hub which has a thriving community cinema, showing all the latest films in addition to free internet access and a lending library. Rothbury Jubilee Institute also has a monthly cinema – and film showings are popular in even the smallest of halls. There are halls with Post Offices - including Kirkwhelpington Village Hall and Whalton Village Hall. 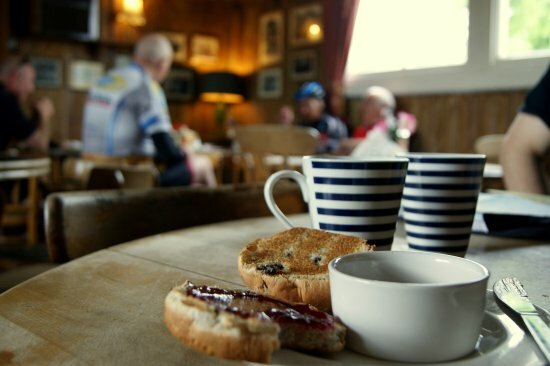 Capheaton Village Hall has a thriving café, popular with cyclists. Harbottle Village hall hosts an outreach GP surgery and Bellingham Town Hall has a library on the ground floor. Some host sports facilities such as Lesbury Village Hall and Longhoughton Sports & community centre. An estimated 600 halls were built nationally to commemorate World War I, or those individuals who perished during that conflict such as those locally at Boulmer and Corsenside. Some of Northumberland’s oldest halls date back to the 19th Century, and many were originally ‘Reading Rooms’ – established to ‘educate the workers’, and some are Mechanics Institutes or Memorial halls. 2018 saw the opening of the newest, St Mary’s Village Hall in Stannington, following the refurbishment of the former St Mary’s Hospital Chapel. The new facility will act as a hub for those living in this new rural community having been gifted by Bellway Homes on an 80-year lease.